I had a few issues all mine getting these little beauties square. 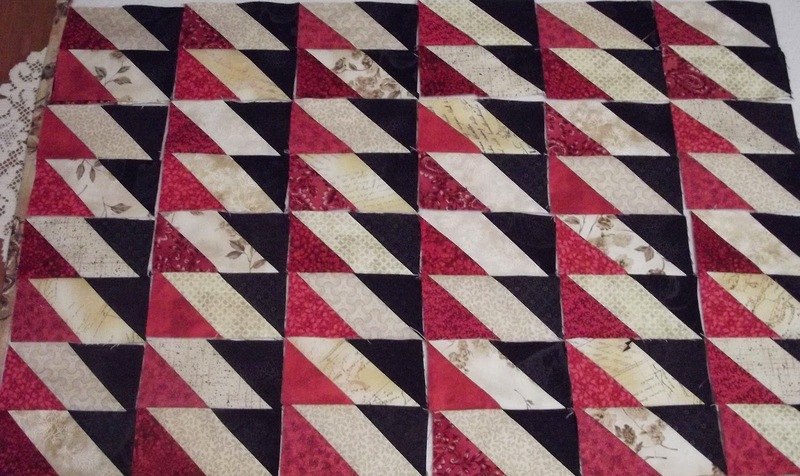 I was sewing the squares and rectangles as per method # 3, but they just weren't right when I measured. I was sewing them from the corner that was causing way too many problems. I then starting sewing from the side and it worked. Now I have 4 1/2 by 4 1/2 squares. Yay! You can find all the info on Bonnie's Grand Illusion mystery on her Blog. Hmmm...interesting tip. I'm using the same method, so I will have to keep it in mind.